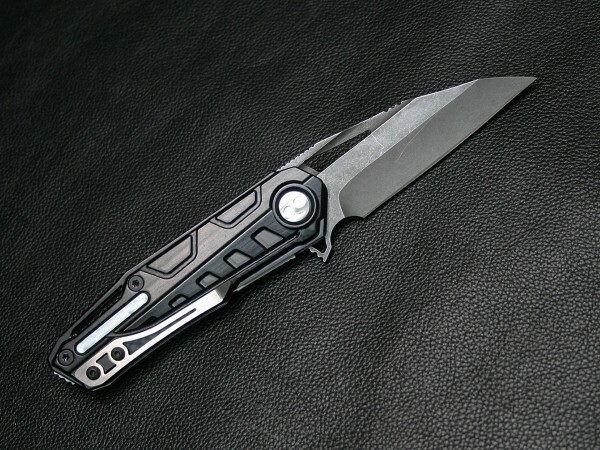 The flipper floder RAIKIRI features wharncliffe style blade. This Knife designed with a motif of legendary sword "RAIKIRI" which reportedly cut down a lightning or thunder of god. 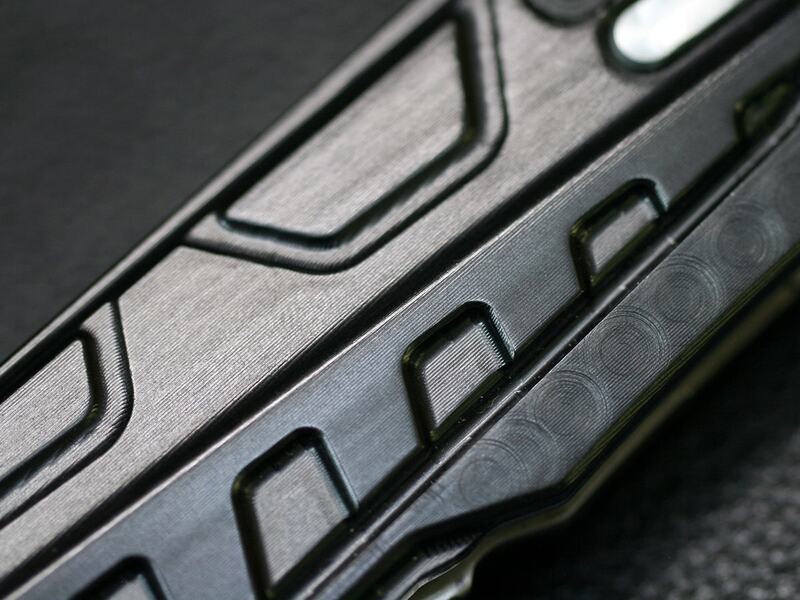 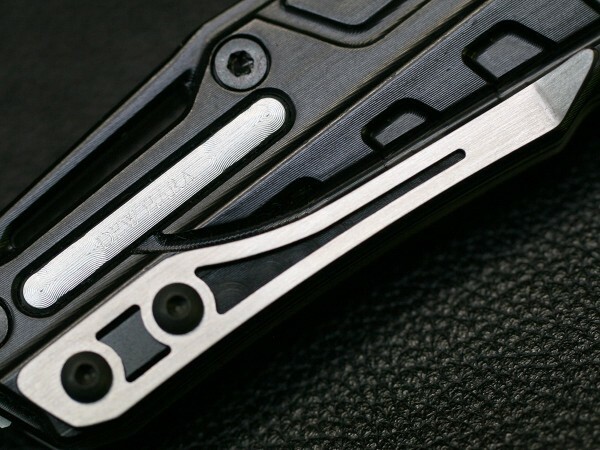 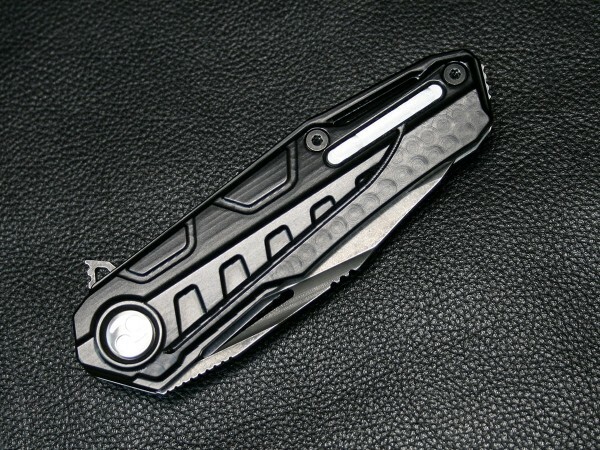 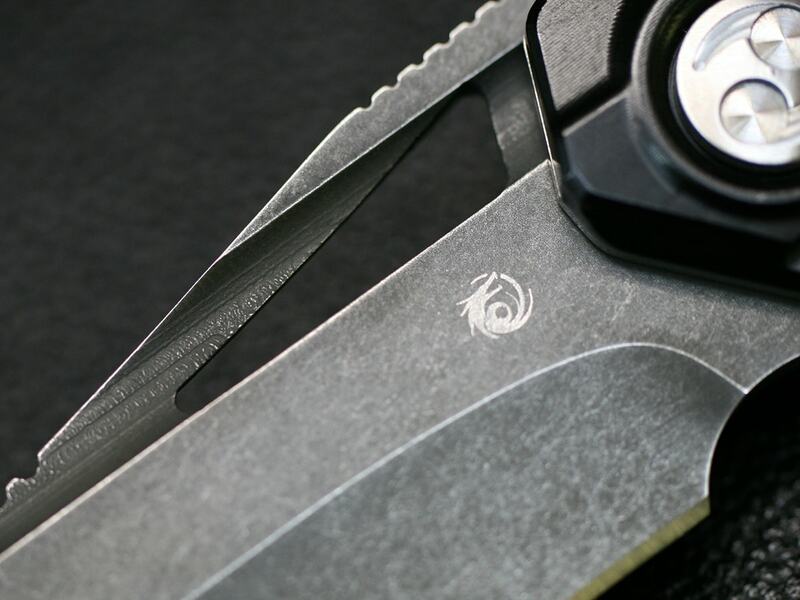 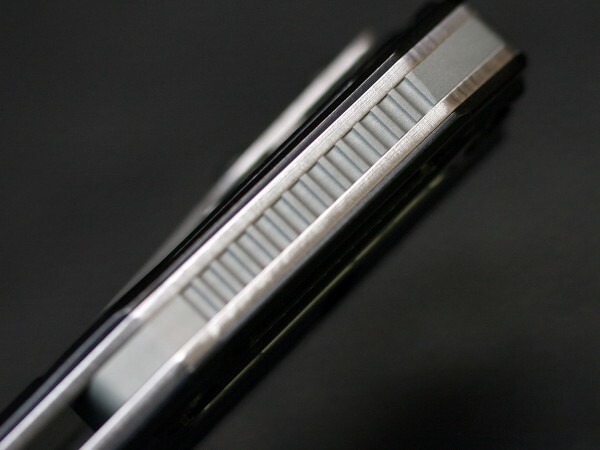 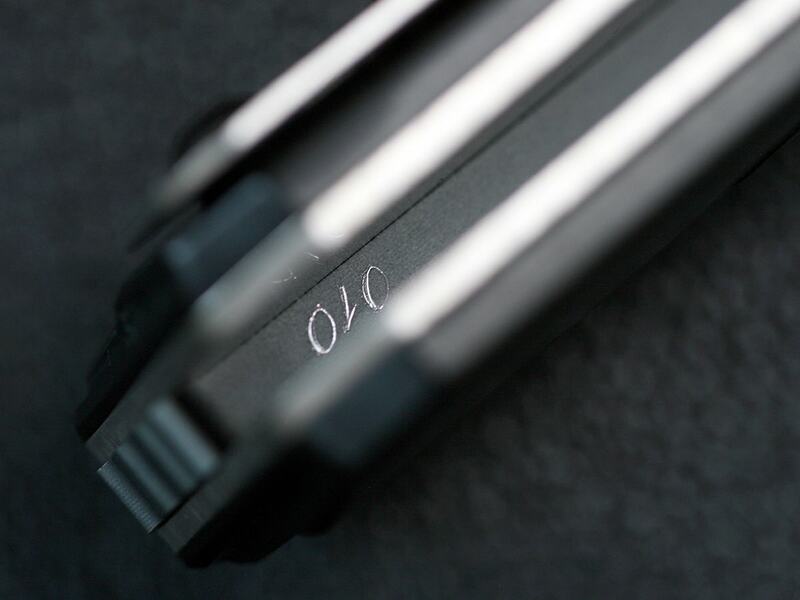 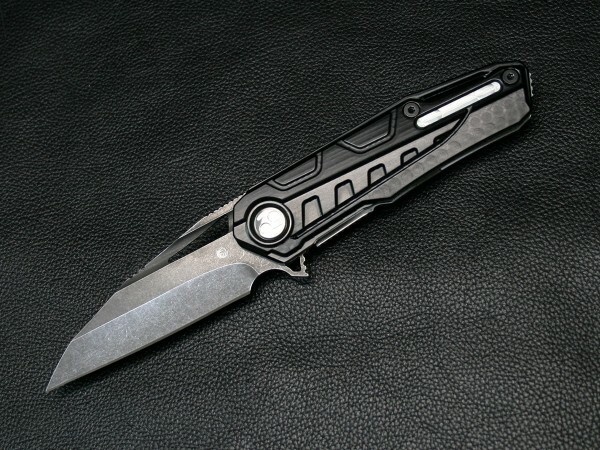 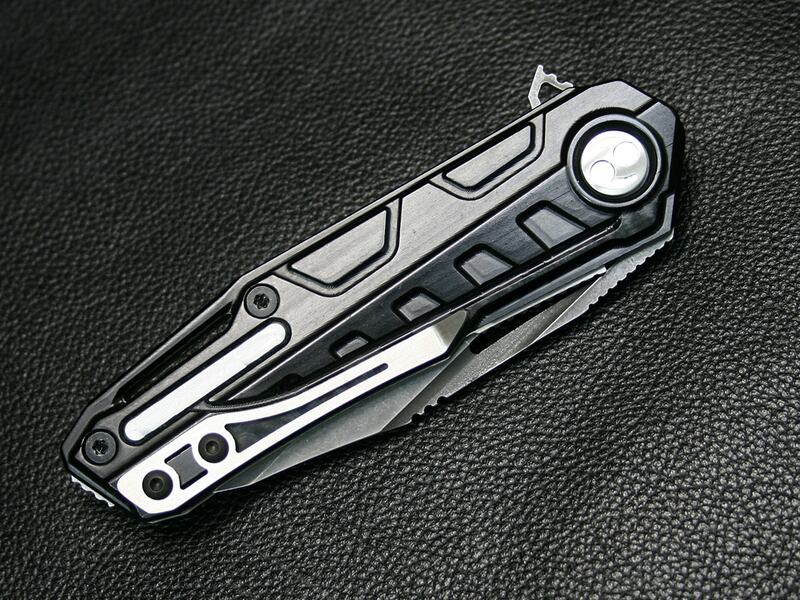 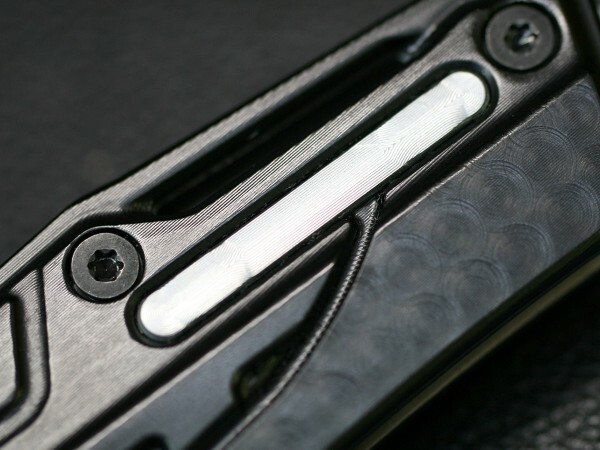 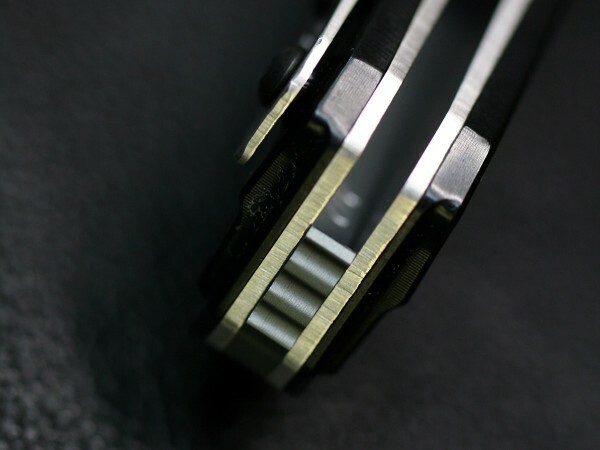 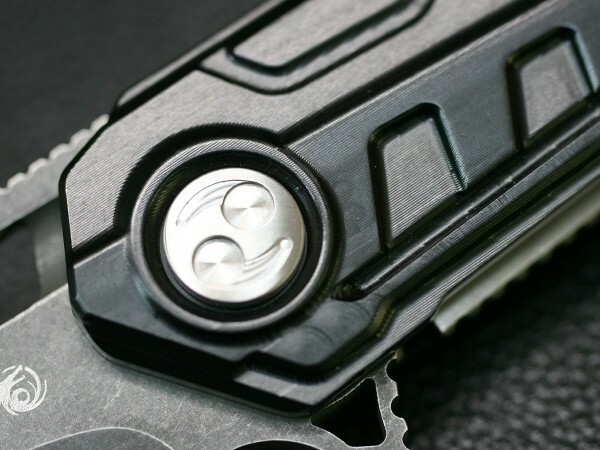 The wharncliffe style blade is made from VG-10 steel with acid wash finish and thumb slot, and it can be easily and instantly used via the flipper tab. 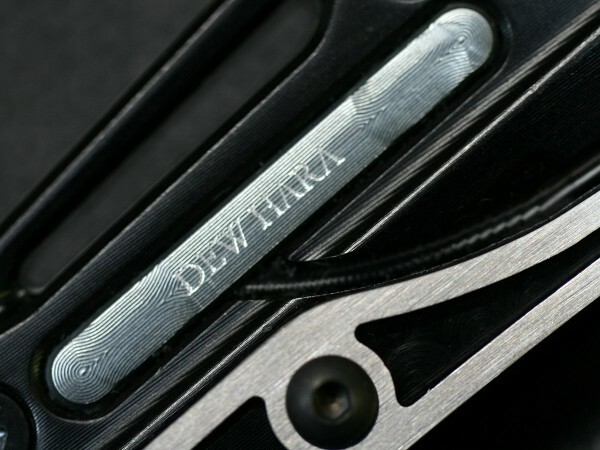 The machined handle is arranged the pattern wrapping of a Japanese sword into a future type and shape of lightning. 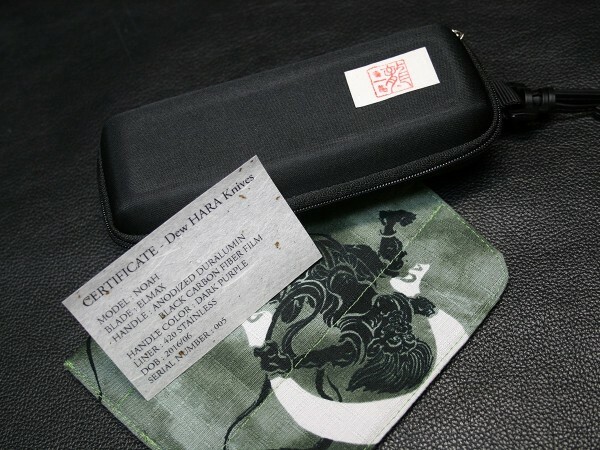 Comes with a Japanese Kimono cloth pouch, custom box, and certificate of authenticity, and each has a serial number on poocket clip.